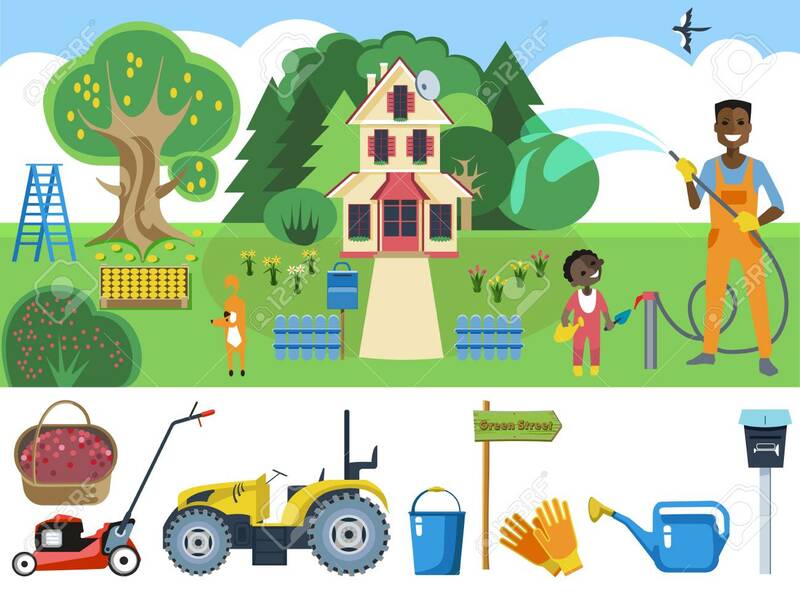 The Gardener And His Son Are Pouring A Green Lawn In Front Of.. Royalty Free Cliparts, Vectors, And Stock Illustration. Image 92700295. Vector - The gardener and his son are pouring a green lawn in front of their beautiful country house. The gardener and his son are pouring a green lawn in front of their beautiful country house.